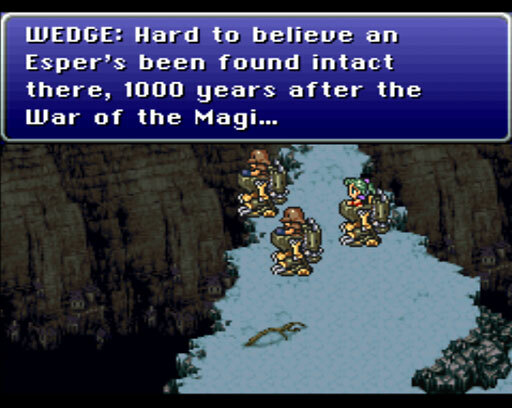 The very first appearance of Wedge and Biggs in a Final Fantasy game! I wonder how they landed on this snowy precipice. Airship drop? Wedge seems to be the one in charge in this game.